The new EB-P101-20VQ video, power and data (VPD) balun provides an inexpensive, flexible solution for sending both data and power on CCTV signal lines. Passive Video Baluns allow a CCTV camera's video signal to be transmitted over low-cost CAT5 unshielded twisted pair (UTP) cable instead of costly coax cable. 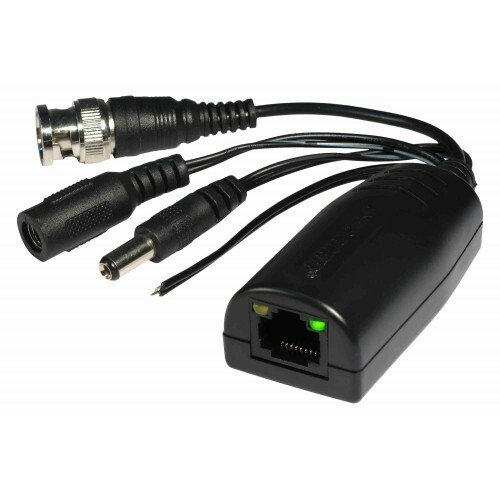 They are suitable for full-motion color and monochrome cameras and provide a quick, low-cost way to connect CCTV cameras to a monitor, multiplexer, or video recorder at up to 2,000ft (610m) away.